The purpose of this site is to guide readers with posts of reviews on books and movies. Check out our affiliate web site! If you link to me using my button please let me know so I can return the favor! Thanks! About the Book: Fear not, Gentle Writer, Mrs. Grammar Person is here and she has the answers to all of the questions you never thought to ask. As a dedicated and serious grammarian, she will do what it takes to be entertaining and enlightening, but never vulgar or coarse. Heavens, no! Where are her smelling salts? Warm and witty, Mrs. G.P. makes grammar interesting with rhyming, wishful thinking, story-telling and a champagne toast. You are cordially invited to join her for a spot of tea! About the Author: Award-winning author, Barbara Venkataraman is an attorney and mediator specializing in family law and debt collection. 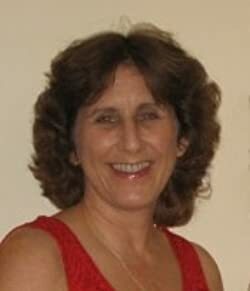 She is the author of "Teatime with Mrs. Grammar Person"; "The Fight for Magicallus," a children's fantasy; a humorous short story entitled, "If You'd Just Listened to Me in the First Place"; and two books of humorous essays: "I'm Not Talking about You, Of Course" and "A Trip to the Hardware Store & Other Calamities," which are part of the "Quirky Essays for Quirky People" series. Both books of humorous essays won the "Indie Book of the Day" award. Her latest works are "Death by Didgeridoo," first in the Jamie Quinn series, "The Case of the Killer Divorce," the second Jamie Quinn mystery, and, just out, "Peril in the Park," the latest in the popular Jamie Quinn series. Coming soon, "Engaged in Danger"--the next Jamie Quinn mystery! My Review: This is another masterpiece of this author, a brilliant storyteller. 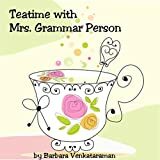 In this short essay, Mrs. Barbara tells in a very light and humorous way the subject of grammar, in a perspective that teaches without being obnoxious. Being a professor myself, I have to tell that this is a very important subject, as I have many students in my classes that clearly leave high school without knowing how to properly write using plain English language. The atrocities they commit are painful to read. In this essay, we are presented to Mrs Grammar (and later, to Mr. Syntax). As is her characteristic, the author's writing flows smoothly and with elegance. It might take a couple of hours for you to read the entire book, and I will assure you that it will be two hours very well spent and you will find yourself learning something new and having a lot of fun while doing that. I recommend this book to all readers that want to improve their grammar while having fun reading the book. They will not be disappointed. If you read this review, feel free to leave a comment.